Do you have a past Michigan conviction that keeps standing in the way of you being able to start a new life and fulfill your potential? Having your conviction set aside may be just what you need to begin your new life. We at RecordGone.com want to help you on your path by getting your conviction in Michigan set aside. Do you feel like everywhere you go you are faced with the stigma of having a past criminal conviction? We are sure you have felt that potential employers have not given you a fair shake when they find out about your conviction. You may not have even been given the chance to prove you are a changed person. Having a past conviction can really derail you from fully reintegrating into society because of the barriers created by that criminal record popping up. Michigan law does allow individuals to petition to set-aside convictions, giving a chance for some to start new. We lead the nation in criminal record clearing. We have cleared over 12,000 records throughout the country. If you qualify to get your conviction set aside, we want to help you do it. We offer this service for a low flat fee that includes filing fees and court costs. The fee can be broken into payments so that we can get started on your case sooner. What can you do now to find out if you are eligible to get your conviction set aside? Complete this free evaluation Doing the evaluation will help us determine if you are eligible for our set aside services or any of our other record clearing services. Michigan law allows a person who has not more than one felony offense or not more than two misdemeanor offense convictions on their record to apply to a court for an order “setting aside” the conviction. If the court sets aside a conviction, the conviction is considered to have never happened (with some small exceptions), and the conviction will be sealed from inspection by the public. Various law enforcement/criminal justice agencies will continue to have access to the records; however, they can only use it under narrow circumstances. This is what many other states call expungement. There is a five-year waiting period following the imposition of the sentence, completion of probation, discharge from parole, or the completion of imprisonment (whichever came later) for that conviction before the person can apply for a setting aside. 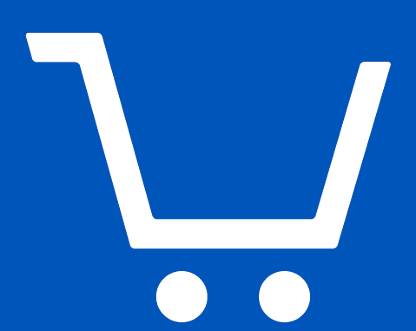 The following offenses are not eligible for a set aside: • felony offenses with a maximum punishment of life imprisonment or an attempt to commit a felony with a maximum punishment of life imprisonment • child abuse in the second degree • cruelty to and torturing of children • possession of child sexually abusive material • use of internet or computer for prohibited communication • criminal sexual conduct in the second degree • criminal sexual conduct in the third degree • assault with intent to commit criminal sexual conduct • child abuse in any degree • child abuse in presence of child other than victim • possession of child sexually abusive material • use of internet or computer for prohibited communication • human trafficking • violation of the Michigan anti-terrorism act • traffic offenses (this includes driving on an expired/canceled license and DUIs). A person can set aside their deferred and dismissed offense if they meet the five-year waiting period and do not have more than one felony offense or more than one other misdemeanor offense. The following deferred and dismissed cases are eligible to be set aside: Minor in Possession of Alcohol, Drug Diversion or Veteran’s Treatment Court Deferral, Youthful Trainee or Domestic Violence Diversion, Possession or Use of Controlled Substance, Taking or Retaining Child by Adoptive or Natural Parent, Prohibited Conduct by Licensed Health Care Professional, or any other law or offenses of this state similar in nature and applicability to those listed. Once your offense has been set aside, the records pertaining to the case will be sealed from inspection by the public. The Department of State Police will retain a “nonpublic” version of the records, which it can share with other law enforcement or criminal justice agencies (including courts and prosecutors) under limited circumstances. The only time the records can be used against you is if you are employed or want to be employed by the Department of Corrections, a law enforcement agency, a court, or a prosecutor’s office. 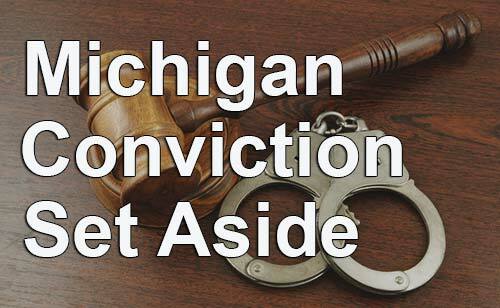 Setting aside your conviction in Michigan can take about 4 to 6 months. Each court varies on the time it takes because they may be more or less busy than usual. If you are ever wondering what is going on with your case you can call us or better yet check the status of your case on the internet with our case management website. The work necessary for your case will include research, writing, filing documents in court, and sending our attorney to court for you if needed. In our experience, your presence will probably not be required at the court. Our Michigan Set Aside service can be extremely valuable and enable you to have a better life. Contact us today or complete this evaluation to get started down that path to a better future. Get started with $49.00 Plus 2 interest-free monthly payments of only $451.00. Get started with $316.67 Plus 2 interest-free monthly payments of only $316.67. * * This price includes filing fees and court costs. In some instances a report from the Department of Public Safety may needed, which may require you to be fingerprinted and to pay an additional approximate $25. ** ** 50% money-back guarantee does not include court costs or filing fees. However, if your case was previously denied within the past 2 years, then there is no money back guarantee. View all of the Set Aside Frequently Asked Questions.